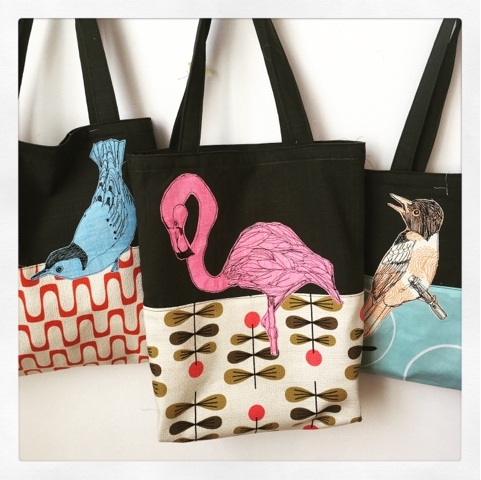 Jenny Jen42: It's spring !! Finally the weather is starting to feel like spring here in Baltimore. I've been making like crazy getting ready for some spring shows. 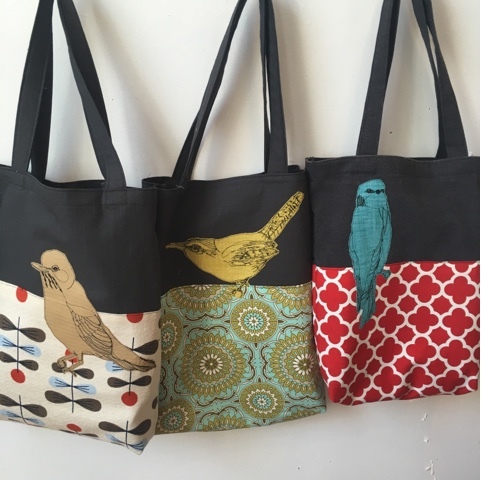 My favorite new item are my totes with a freehand machine stitch bird and a complementary home decor fabric . 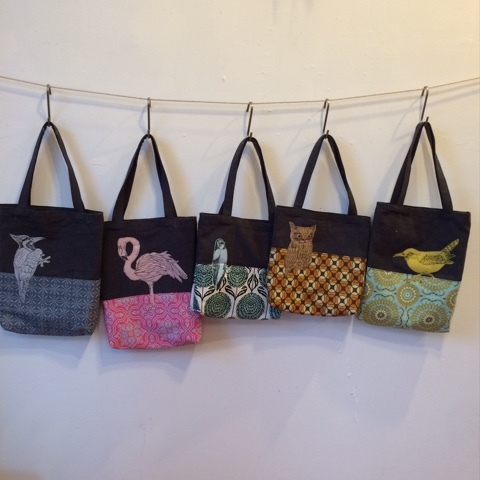 Totes are made from up cycled curtain fabric. 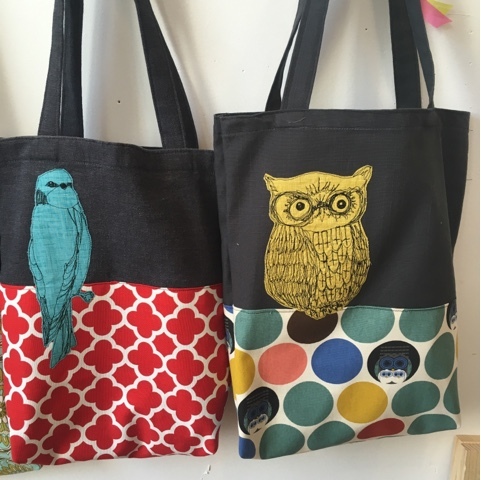 The tall basic totes are perfect project bags that the ladies at Woolworks have been buying and giving me a sweet wholesale account! Others have pockets inside for more versatility. 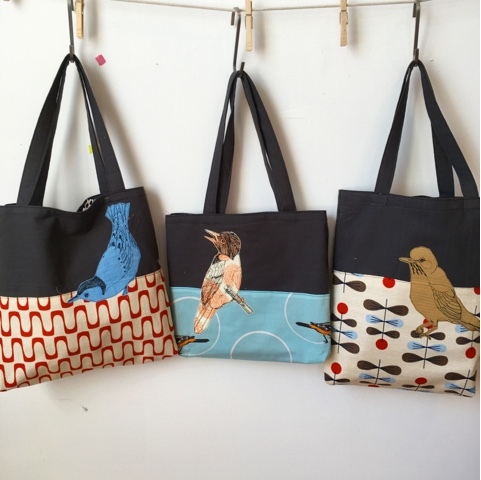 Here are some of my latest designs!